In Northern Utah, gardens are an important part of everyday life for many residents. With great anticipation, we anxiously await the return of spring and the chance to get our fingers back into the dirt. After a long, cold winter, that time has finally arrived. It’s time to get moving on your flowers, fruits, vegetables and ornamental plants. As with all outdoor projects, the secret to Utah gardening success is in the planning. Whether you’ve had a garden for years or this will be your first attempt at gardening, location is key. And, just because your planting beds have always been in the same spot, that doesn’t guarantee it’s the right spot. Finally, be sure your planting beds are easily accessible for working and that your source of water is nearby. For many Utah gardeners, laying out their planting beds is one of the best parts of the experience. You’ll be tempted to plant one (or six) of everything but that’s not a wise strategy – especially if you’re a gardening novice. Instead, select the items that you enjoy growing and that your family truly loves to eat. Even if you have tons of space, you may not want to spend all of your time working in the garden. Stage your plants based on the optimal harvest time and work backward to determine the best time for planting. Logistically, make sure you can easily reach each portion of the beds without having to walk through them. One very popular and practical approach is to build raised planting beds. This creates an easily accessible growing space that won’t break your back or hurt your knees. It’s resistant to pests and weeds, facilitates better drainage and allows you to create the perfect soil mixture. Even the most well-laid-out Utah gardens can’t succeed without good soil and soil amendments. Mulch, compost and minerals must be chosen to meet the needs of the plants and harmonize with our climate. Remember the three keys to garden soil success: water, air and nutrients. If any of these critical elements is missing, your plants will struggle. The right soil mixture allows your plants to resist disease and pests. This means you can forego chemical fertilizers and pesticides – and you’ll use much less water all year long. If you plan to plant at ground level, till 12 inches down in the soil and mix the amendments in thoroughly. Or, if your soil is particularly bad, you can excavate and replace it with a planting mix like Garden Soil Plus from The Dirt Bag. 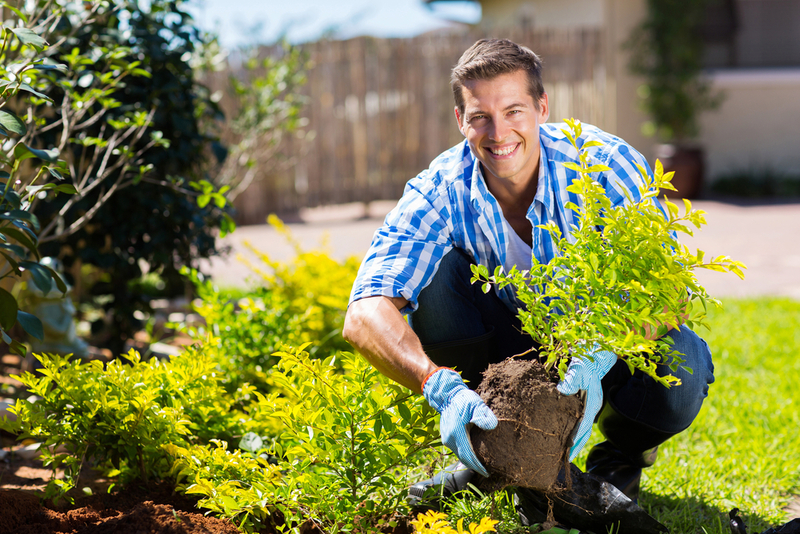 We also offer Northern Utah’s finest organic mulch, compost, play sand and landscaping rock. And we can deliver any of our products to your door. In fact, our compost, mulch, garden soil and topsoil are all available in convenient one-cubic-yard bags – our signature! The Dirt Bag is located in West Jordan, Utah, but we deliver to customers throughout the Salt Lake City area. We also offer some of the finest locally grown sod available in Northern Utah. Contact us today to learn more and to place your order. This year, trust The Dirt Bag for all your Utah garden and landscaping materials needs.